This is the summary of consumer reviews for Horizon Evolve SG Compact Treadmill. The BoolPool rating for this product is Good, with 3.90 stars, and the price range is $450.00-$599.99. 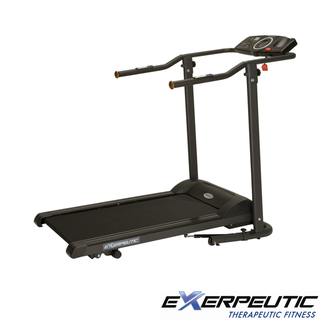 The Horizon Evolve SG Compact Treadmill brings workouts to the smallest of spaces thanks to its trim design whether it’s up and running or stashed away. 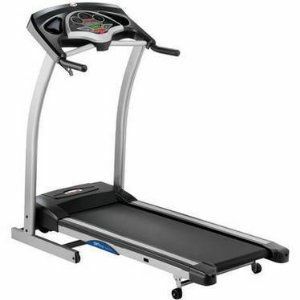 This treadmill fits under a bed, in a closet or any other small storage area and requires no assembly. Just open the box, unfold and go. When you’re finished, fold it up and store it away. With speeds up to 6 mph and two built-in programs, the Evolve SG is perfect for someone who loves walking and light jogging. It also has thumb-pulse heart rate sensors and simple console controls to help you monitor your exertion level. 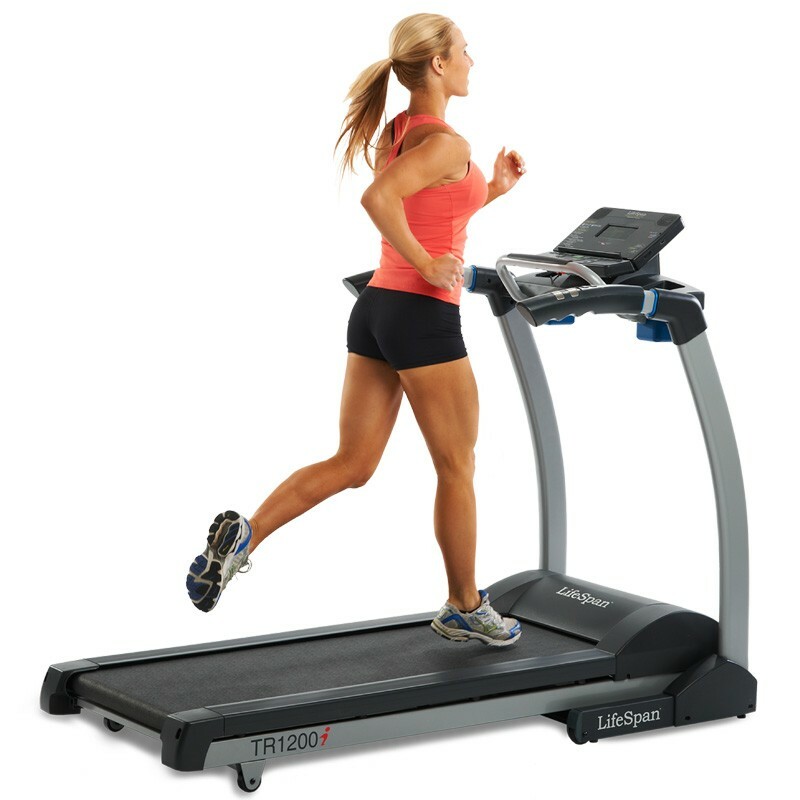 This machine is lightweight as compared to other treadmills, yet sturdy for everyday use. It also has wheels to make moving easy. User reviews mention that this machine is quiet enough that you can watch TV or listen to music while working out. 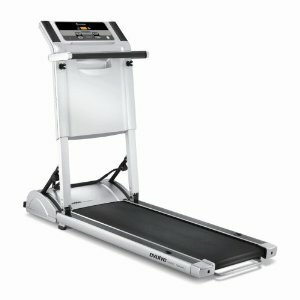 The Horizon Evolve SG Compact Treadmill by design works well only for walking or light jogging. It is not very good for running. Many reviews complain that the belt keeps slipping and does not stay in the center. Also, the heart rate monitor doesn't work properly. 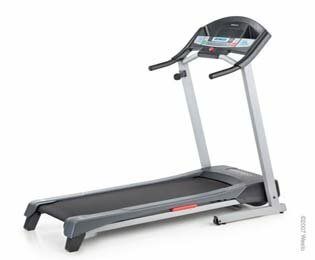 Overall, the Horizon Evolve SG Compact Treadmill is compact, sleek and attractive with a modern folding design for vertical or horizontal storage. It is spacious enough to accommodate most walking and jogging strides. You can fold it down flat or fold it up vertically. I've it sitting in the family room and never intend to fold it up (folds to 10"). I've experienced other folding treadmills, and never had this kind of problem before. I've very limited space and I can use it then fold it back up and store it with no problem. Absolutely love the ease of set up and take down,very sturdy, solid and good for small spaces, fits in my closet nicely. This seem to fit the requirements, but folding it a couple of time just about ripped out my knees. We were looking for a compact treadmill that we could easily fold up and store in a closet. I specifically wanted a fold up unit so if I need the space where this's, it could be made. I love how light it's compared to other treadmills and it's wheels to make moving around easy. Very easy to assemble and store. It arrived within days of ordering and was easy to set-up and easy to use. 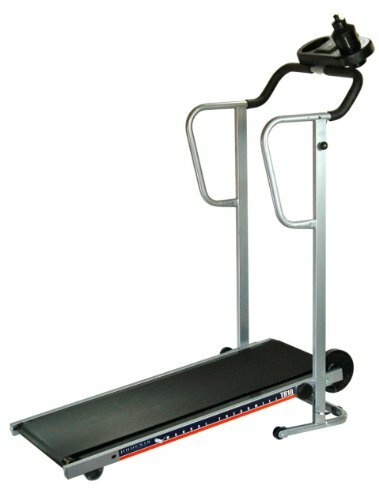 I wanted a very basic treadmill that was easy to store in my home. First two steps are easy of course. EASY to take out of box and start using. It's easy to use and best of all quiet. It's good quality, easy to set up, simple to use, and very good for walking or light jogging. I'd definitely recommend this for space constraint areas, easy set up and storage after use. 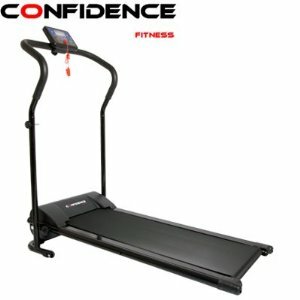 everything was exactly as i expected, i'd recommend for anyone looking for a very compact, easy to use basic treadmill. I really only wanted it for walking. 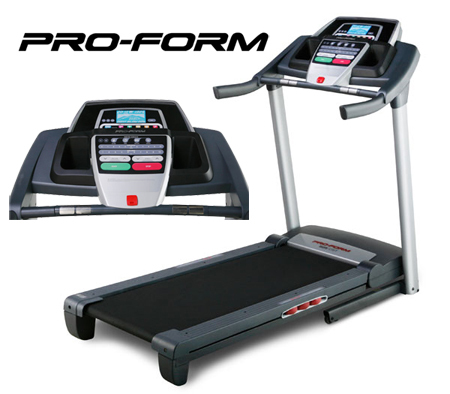 The machine is great for fast paced walking and light jogging, not really great for higher speed running. The only thing that really works on the controls is the distance walked but I use a counter with it to see how fast I'm walking. The treadmill suited my purpose of speed walking. I can only walk at 3.5 mph. It's very sturdy, and really comes right out of the box no assembly which was awesome.I can finally walk or jog in my own home anytime I want, rain or shine. I don't really enjoy walking the neighborhood and wasn't interested in a gym so this TM suits me well. We really had no place for one of those huge treadmills, so this really fits our needs. I've been walking and jogging both using the manual and weight loss program. Mine was a bit crooked, which wasn't too much of a problem for speed walking, but I could see it being a problem at higher speeds. Centering the belt was a trick because the machine looks so solid, you think it resists adjustment. Otherwise, it works just fine as a "walking" treadmill (runners would probably be better advised to look for a machine with a wider and longer belt). If you've ample space, I'd suggest a higher quality machine with an incline option. Second treadmill worked right out of the box. I only had to adjust the belt a bit and it's been working well. Set up was easy -- it's solid -- quiet -- love the ipod feature and speakers work great -- compact -- easy to adjust -- lots of room to hold my Kindle and pair of glasses, plus my remote control rests easily on the ridge below the control panel -- I just LOVE it! It'd to be quiet enough so I could watch my tv while working out. No, the heart rate monitor doesn't seem to work at all. 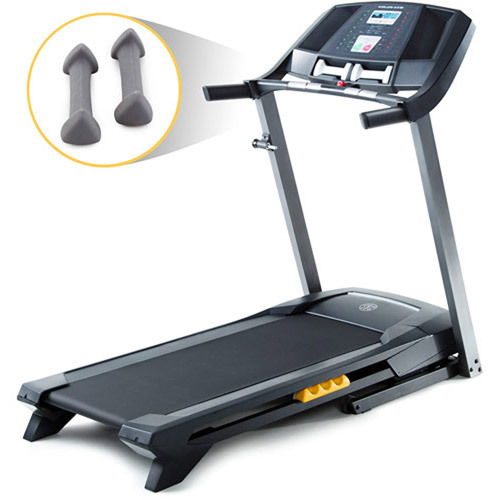 I weigh 250, and this machine is able to support me both walking and light jogging. First the heart rate monitor doesn't work properly and I'm still working with Horizon on this issue. Very good product - it works well and arrived in excellent condition. Even adjusting the belt is very easy as the directions are quite clear and the tools that come with it work well. The only small issue with this treadmill is the heart rate monitor, which doesn't work. Once we disabled the heart rate monitor, the rest of the display worked fine. This one fits in my coat closet, and works great. Speakers work okay for me and I've no problem folding and moving it. We didn't care about the heart rate monitor and it's a good thing, because it doesn't work. In the many reviews, there were comments about the electronics not working well. As long as you keep them at least 12' apart, then it works fine. I'd walk for 15 minutes, then stop to center the belt (not wanting the right side to be frayed), and walk another 15 minutes. The third time I used it I tried to center the belt according to the instructions now the belt moves while you walk. I'd prefer not being responsible for lubricating the deck under the belt when it first arrives, and I'm still not sure the belt is adjusted properly; it appears to be centered at the back but is way off center at the front. That's the first thing you do before you begin the first time and there are two rear roller adjustment screws you turn to make the belt loose so you've enough slack between the belt and the deck you can lubricate. That problem was solved after a technician came to repair my treadmill but he found the problem wasn't only the rear roller but also the motor wasn't installed properly (loose nuts) so the belt from the motor wasn't transfering enough rotation power to the running belt and walk a person. Technician states belt continues to run off rollers and entire frame may be bent. We tightened it back up the required 1/4 turn as instructed, and now the belt won't stay centered. if belt shifts to one side, just follow directions and turn the right adjustment screw 1/4 turn (or less), then let it run for a few minutes; keep doing that until it remains centered while you're on it. I then tightened the belt per the technician's instructions, made a couple of centering adjustments, and it's been stable since. The only down side to this product was the belt had slipped a bit in the shipping process and it took a while to center the belt before using the treadmill, but there are specific, detailed instructions for centering the belt.